Joshua Garcia and Julia Barretto are off to Hong Kong this Holy Week. Hong Kong will be the Holy Week destination of Joshua Garcia and Julia Barretto. 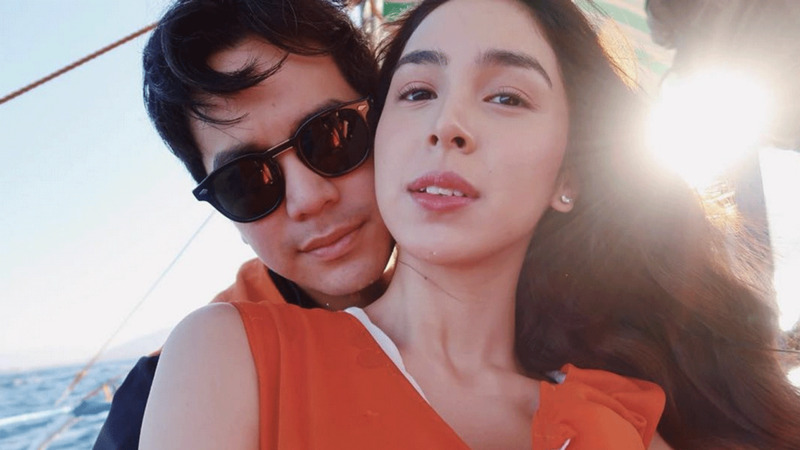 "Feeling ko, pupunta kaming Hong Kong nila Julia kasama yung mga pinsan niya, ayun," he told PEP.ph (Philippine Entertainment Portal) and ABS-CBN entertainment writer Manila Santos. It will not be his first time to visit China’s autonomous territory. In September 2018, he was there for an event, but did not have the chance to explore. Their upcoming trip will include two theme parks in their itinerary. "Never pa kasi ako nakakapag-Disneyland, e, so kinonvince ko siya kung puwede kaming mag-Hong Kong. Sabi niya, oo daw, punta kami Disneyland saka Ocean Park ba yun?" This is by far their second holiday trip abroad. In December 2017, Joshua flew with Julia and her family to Niseko, Japan—among the actors’ dream destinations. Meanwhile, the 21-year-old star has two important goals this year, aside from crossing items off her travel bucket list. One is finding and building his dream house. The other has something to do with "healthier living." Admittedly, "Hindi ako active na tao, e. Wala ako masyadong sports. Kasi hindi naman ako lumalabas ng bahay, e."
But he intends to change that. "…parang tumatanda rin tayo, tatanda rin ako, so parang hangga't bata, alam mo yun, nakakapag-exercise ako kahit papano. So kahit konting papawis lang okay na, e."